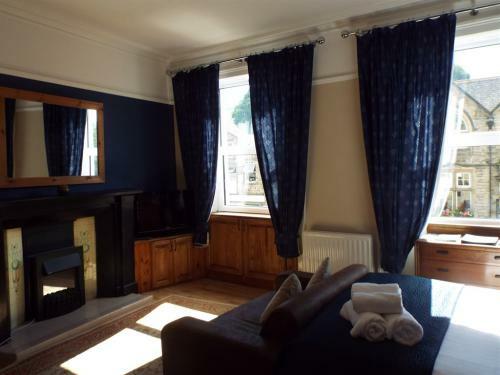 Luxury Double bedroom with en-suite shower and additional seating area. Perfect for those who want a little bit of extra space. This room affords a view of the town centre. 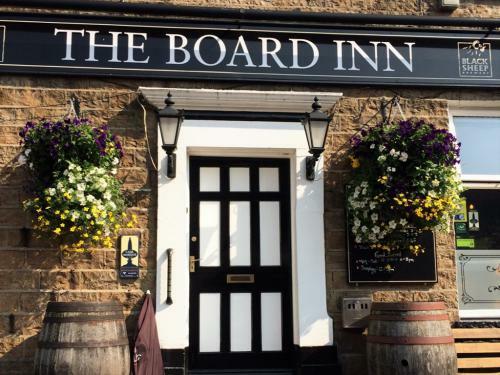 The Board Inn in Hawes is located in the centre of the picturesque Yorkshire Dales. The market town of Hawes is about an hour away from several major towns, Leeds, Manchester, Newcastle, Preston, Liverpool and easily accessible from the M6 in the west and the A1 to the east. Our relaxed friendly atmosphere is the perfect place for you to unwind and enjoy your visit to The Dales. Ann runs the Inn with the support of her parents, Jane and Colin; brother David helps by sampling the fine ales on a regular basis when he can get away from his work. We are supported by a small team of loyal staff who will all go the extra mile to help make things run smoothly. 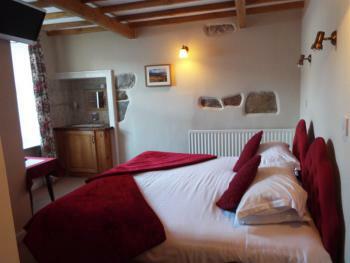 We have five bedrooms each offering something different. All rooms are designed with your comfort and convenience in mind. All rooms have a TV/DVD player and tea and coffee making facilities. Room 1	Can be set up as a double or twin room according to your needs, please specify at time of booking. The room has an en-suite shower. NO PETS accepted in this room. Room 2	A luxury double bedroom with en-suite shower and additional seating area. Perfect for those who want a little bit of extra space. This room affords a view of the town centre. Dogs accepted. Room 3	A single room with street view. This room doesn’t have an en-suite bathroom, although it has use of the private bathroom across the hall. Dogs accepted. 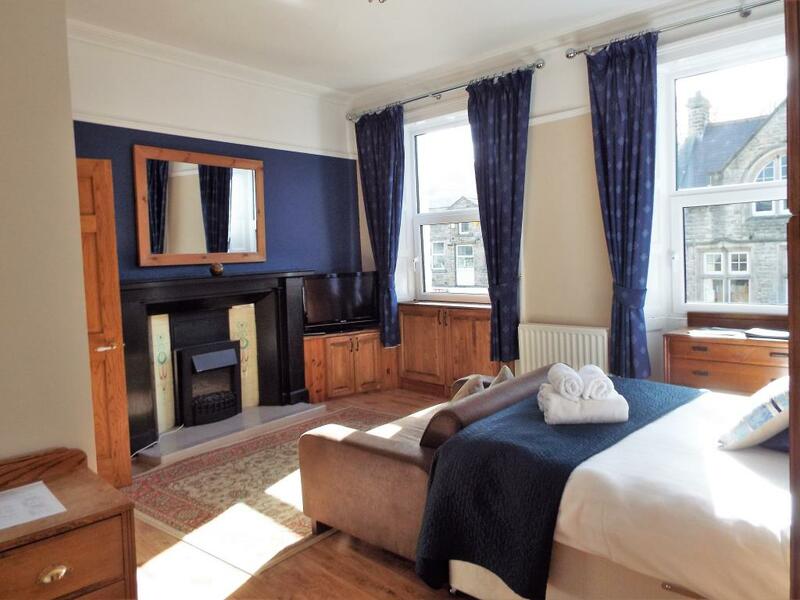 Room 4	Can be set up as a double or twin room according to your needs. This room has an en-suite shower. The room affords a view of the town. Dogs accepted. Room 5	A double bedroom with en-suite bathroom including a shower and a bath for those who like a good soak in the evening. NO PETS ACCEPTED in this room. We do charge extra for dogs. We offer a choice of meals from light snacks, soup and sandwiches, to the heartier homemade Steak and Ale pie or our popular Board Burgers. 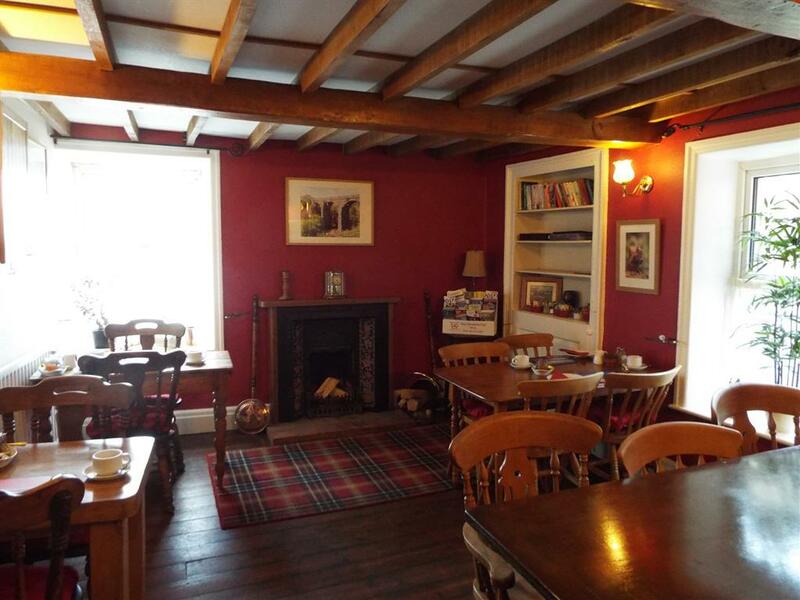 The Inn is an old building with stairs not suitable for people with limited mobility.